Pipe inspections and integrity services give you valuable information about your project that can help extend the life of the pipeline, save on costly repairs, minimize safety risks and ensure compliance with regulatory standards. Over the past 100 years Intertek has acquired in-depth knowledge of many of the world’s principle manufacturers which gives you added assurance against the common problems associated with pipe production, coating, logistics and construction. We possess extensive experience in pipeline inspections, asset integrity and production services, and have been the quality service provider for many of the largest onshore and offshore projects around the world. Our highly qualified crews of inspectors are available in the closest proximity to major pipe mills worldwide to provide cost-effective solutions for all types of pipeline projects. We provide you with valuable inspection insights during the procurement, manufacturing, construction, commissioning and operation/maintenance phases. As new line pipe is rolled and/or fabricated, inspection is important to ensure no faulty pipe and materials are installed. Inspections can be at the place of manufacture or at material receipt. Intertek helps in ensuring that all pipe produced meets your requirements and conforms to accepted standards. We have a global network of highly experienced inspectors, ready to carry out independent assessments of your pipe, including reviewing and witnessing special processes; assessing the quality of workmanship and dimension condition; and reporting results. Our experience with DSAW, HFW (ERW), SMLS and OCTG and their threads, inspection of plate, pipe and tubular product for complete adherence to specifications is second to none. We provide an inspection by an inspection crew of different disciplines during production including per ITP and EN 10204 3.2. Certificate. Pipeline construction is very complex and site supervision is vital. Services that oversee stages such as rights-of-way, assembly, welding, and testing ensure that construction meets all regulatory, safety, environmental and client requirements. The safe and successful completion of pipeline projects greatly minimizes operational risks in safety, environmental impact and production and revenue losses. 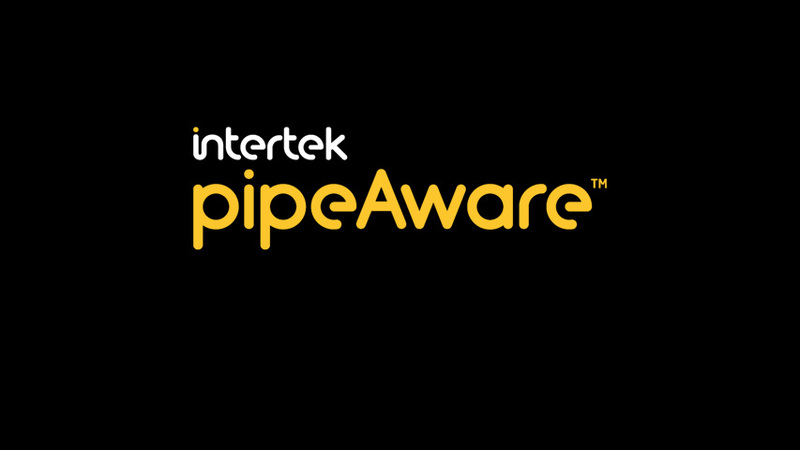 Intertek has developed a traceability system, PipeAware™, to gather and monitor critical data from steel production through pipe manufacture, coating and testing, to final delivery, construction, and eventual operation. PipeAware offers pipeline owners and operators traceability through the complete supply chain and easy access to the inspection, testing and material data needed to make informed decisions that ensure pipelines operate safely and efficiently. Holiday detection during lower and lay operations. When a pipeline is new, and before it is put into operation, it is important to ensure that the line is commissioned effectively and efficiently. Maintenance activities are performed to ensure that the pipelines and equipment used in transporting the product through our pipeline are operating safely. With experience gained from working on over thousands of miles of pipeline, we have the technical capabilities and skilled personnel to meet your needs. When you choose Intertek as your partner you are choosing a company with a full suite of pipeline integrity services for every phase of your project.